Lauren Crazybull asks what parallels we can see between broken treaties and gentrification in Edmonton. 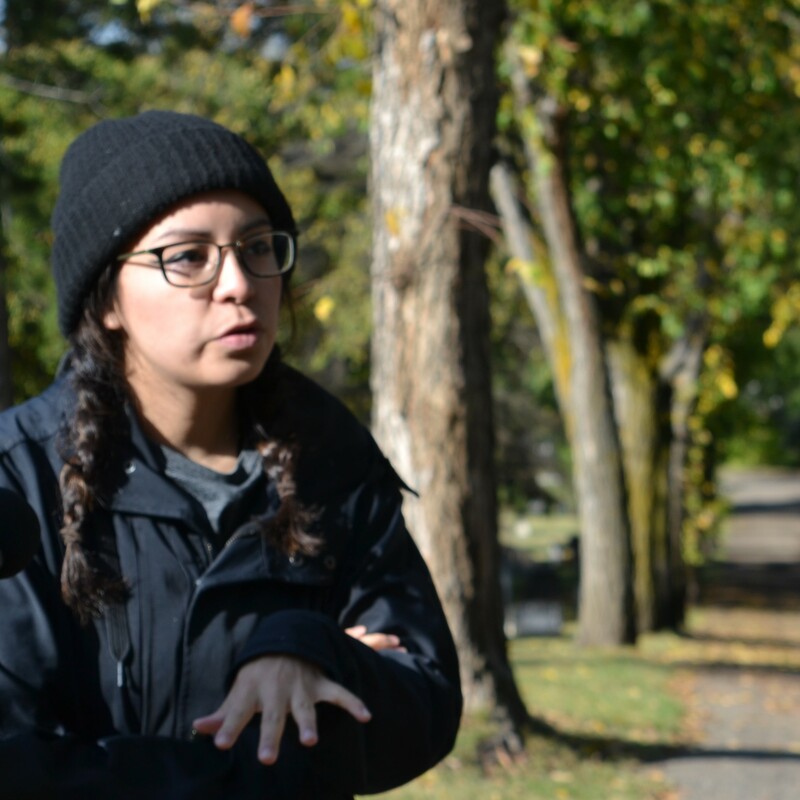 Lauren is a Blackfoot and Dene artist and youth worker at iHuman Youth Society. 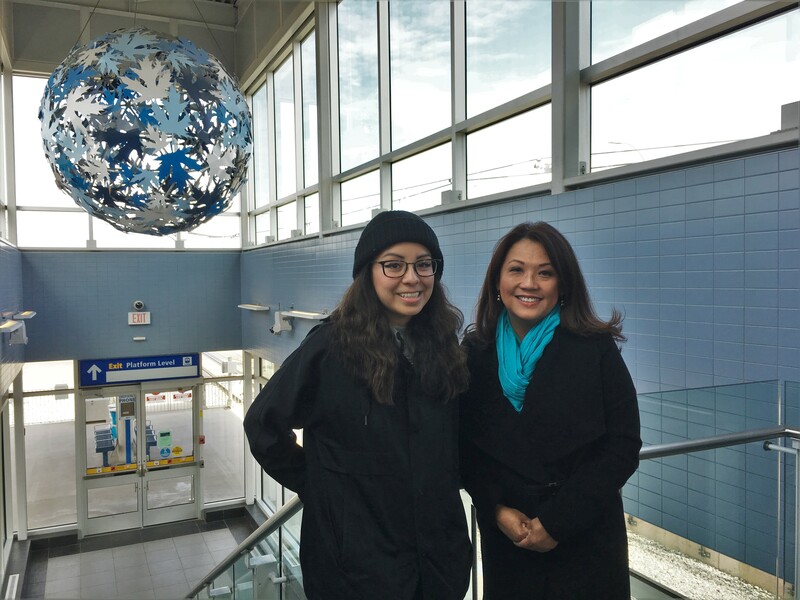 She’s concerned about the changes she sees to downtown Edmonton at her work and on her daily commute. As downtown becomes more upscale, she worries about its current residents being displaced, and parallels to the way the Papaschase First Nation lost their reserve. Listen first, then have a peek below the spoiler bar below for more information. 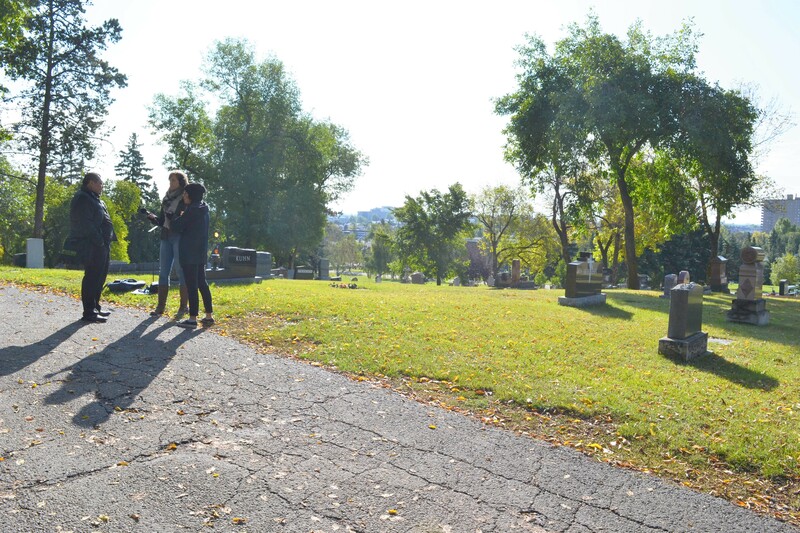 Our journey starts on a hill at the Mount Pleasant Cemetery with Papaschase First Nation’s Chief Calvin Bruneau. 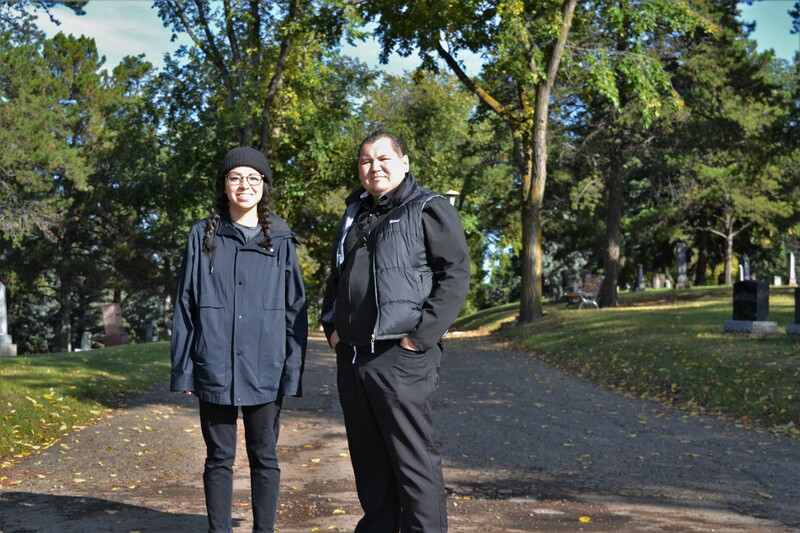 Lauren Crazybull and Chief Calvin Bruneau at the Mount Pleasant Cemetery. We asked Chief Bruneau to tell us the story of how the Papaschase First Nation was forced to surrender its land in this area in the late 1800s. The Papaschase Band’s reserve covered a wide square of modern-day Edmonton on the south side of the North Saskatchewan River. An October 1890 survey of the Papaschase reserve. The Mount Pleasant Cemetery hill is shown on this map as the diagonal smudge on the north border of the reserve, towards its west edge. Looking southeast from the Mount Pleasant Cemetery Hill, towards the former Papaschase Reserve lands. To help Lauren answer what drives modern-day gentrification, we talked to Sandy Pon. Sandy is running as a City Council candidate for Ward 9. She was part of the Chinatown Economic Development Task Force that helped develop The Chinatown Strategy: Energizing a Prosperous Future. We spoke with Sandy Pon, City Council candidate for Ward 9 and member of the Chinatown Economic Development Task Force.